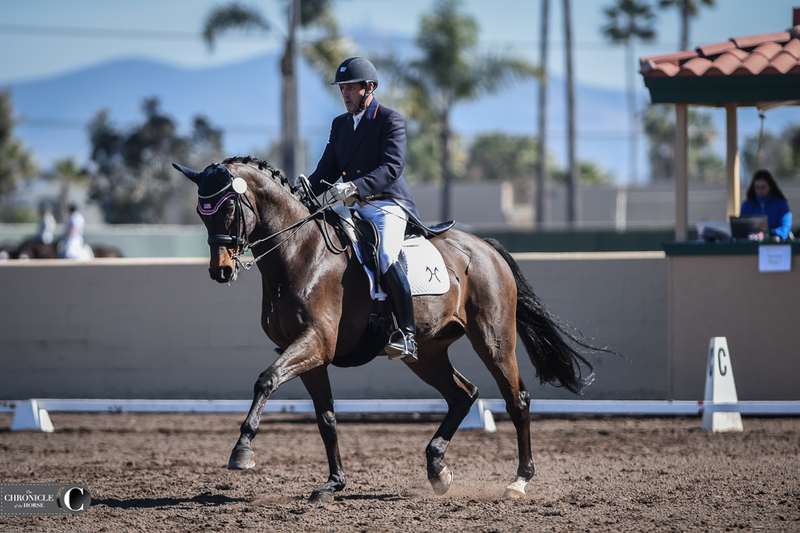 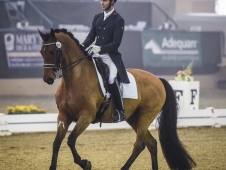 Throughout his professional career, Nick Wagman’s dreamed of cantering down centerline at a Grand Prix CDI, but it’s always eluded him—whether the horse was sold or injured, it never quite happened. 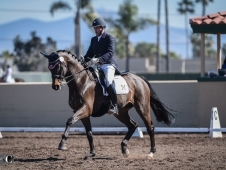 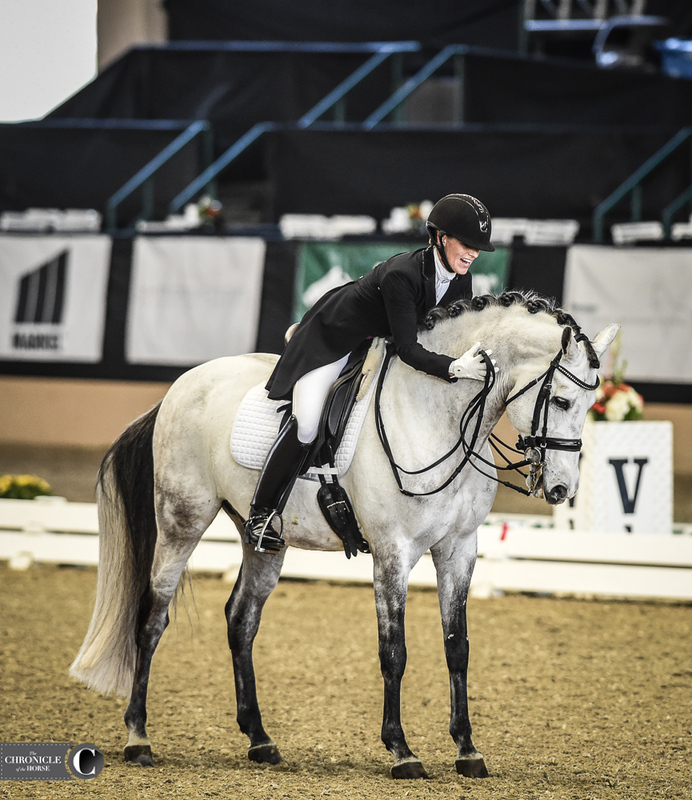 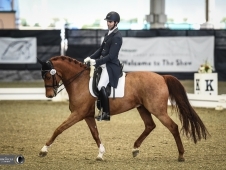 But with the advent of the Adequan West Coast Dressage Festival CDI circuit this year and the right horse in the barn, Wagman made his dream come true today and brought home a blue aboard Beverly Gepfer’s Don John in the CDI*** Grand Prix for the Special with a score of 67.73 percent. 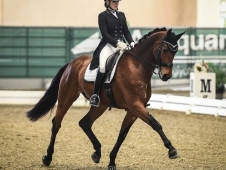 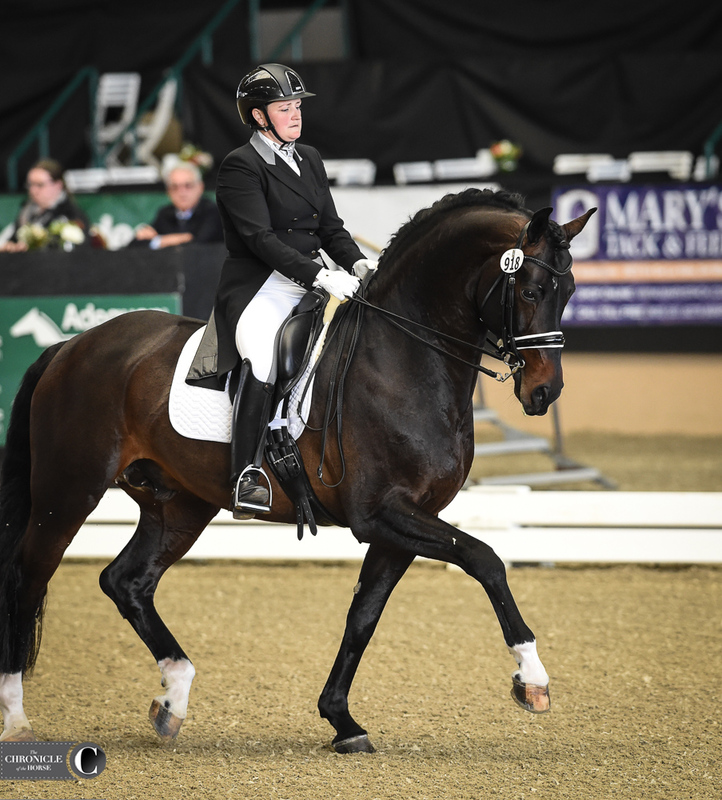 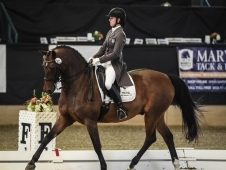 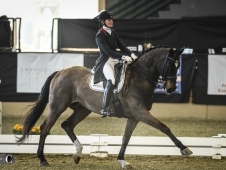 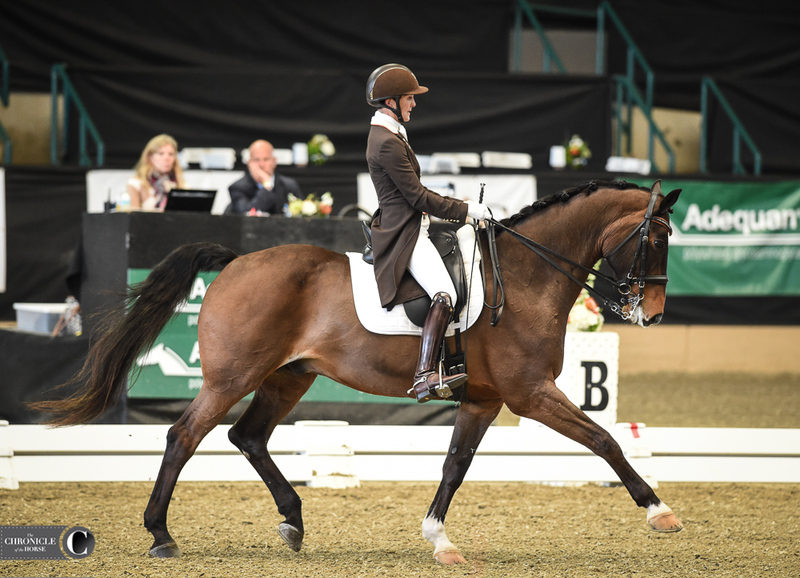 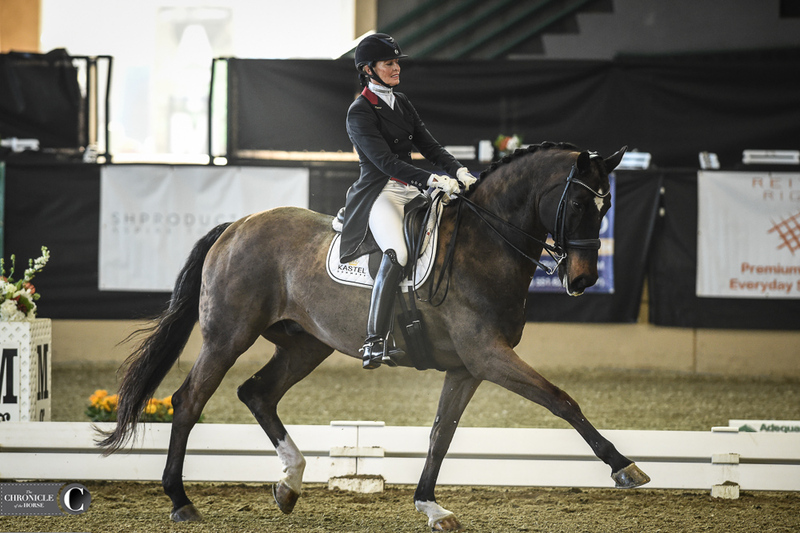 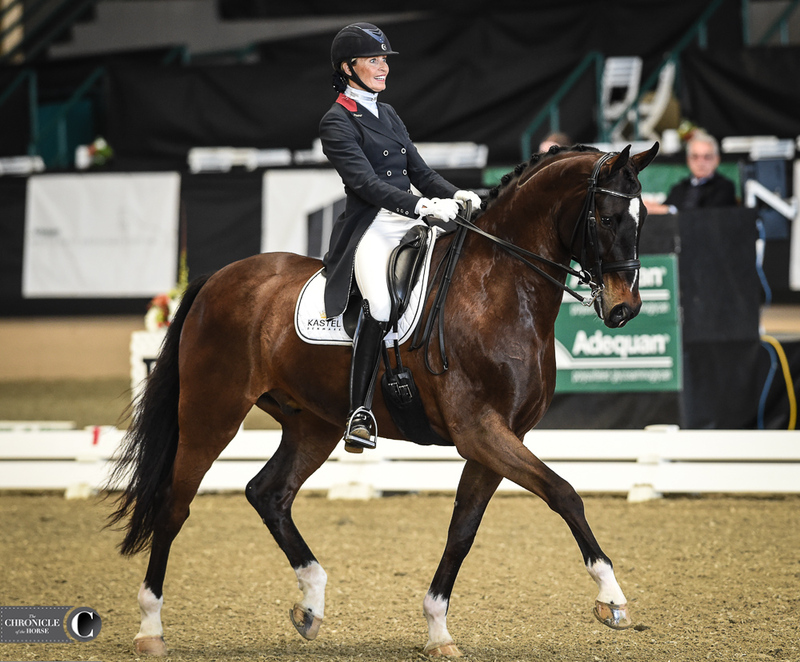 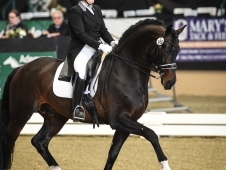 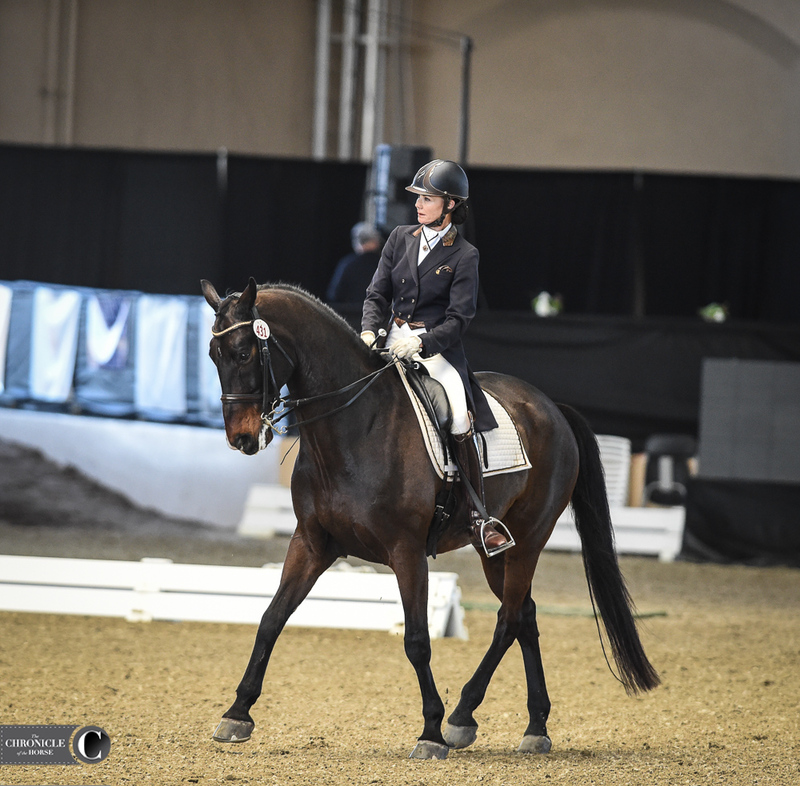 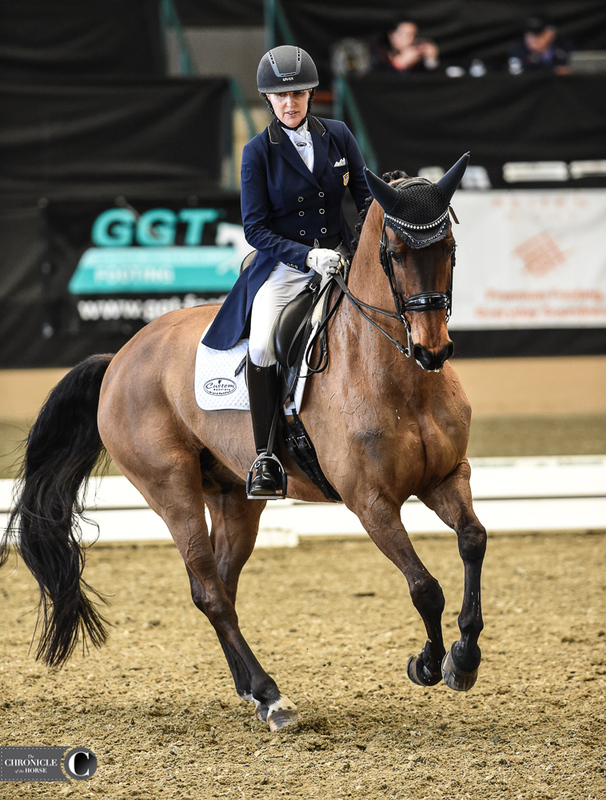 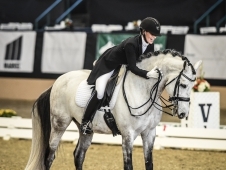 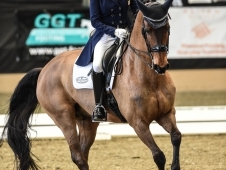 To top it off, he also won the Weltino’s Magic Prix St. Georges CDI* with Elizabeth Keadle’s Ferano, who’s been nearly unbeatable on the AWCDF circuit. 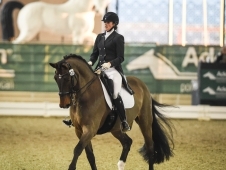 DJ, a 10-year-old Dutch Warmblood gelding (Johnson—Lindalie, Goodtimes), only began competing at Grand Prix this year. 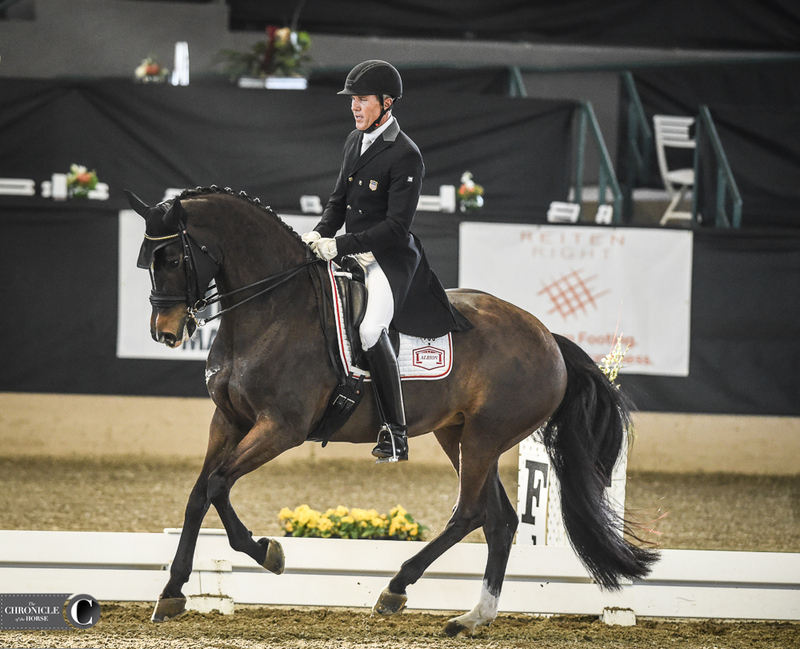 Gerard Hogervorst found both DJ and F, and Wagman credits new coach Marie Meyers for his success today. 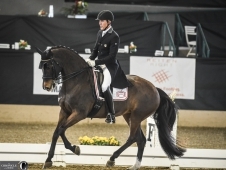 F, an 8-year-old Dutch Warmblood gelding (Scandic—Zara D, Parcival), was meant for Keadle, but Wagman ended up keeping the ride. 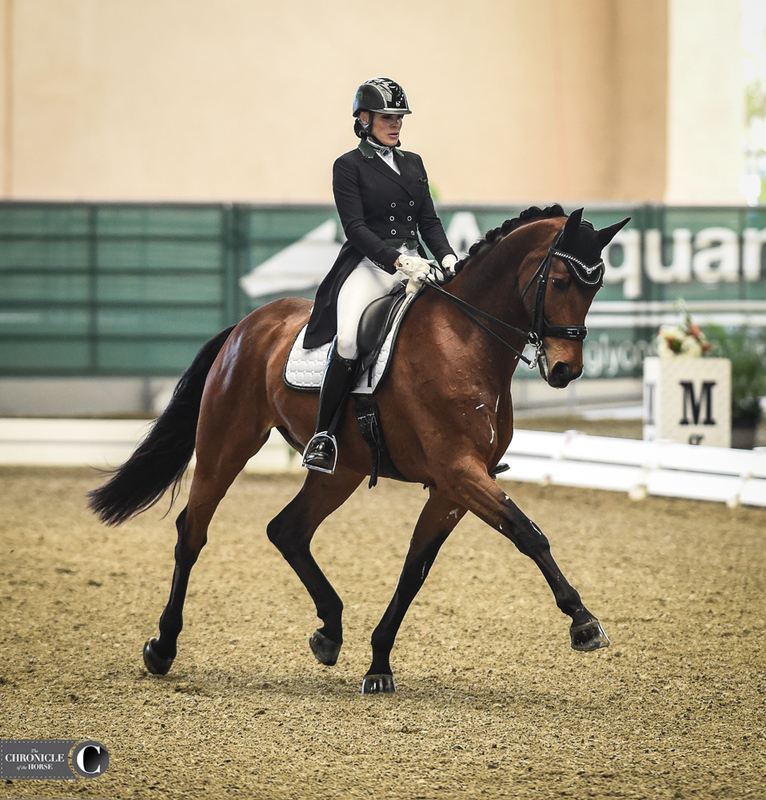 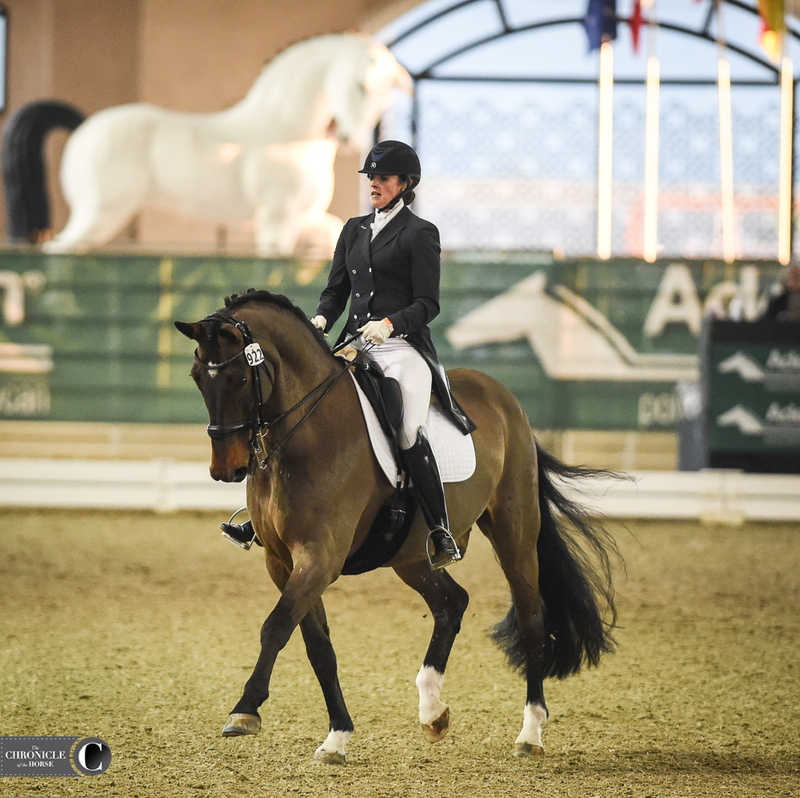 The pair scored a 69.35 percent in the Prix St. Georges, their highest yet in four CDI starts. 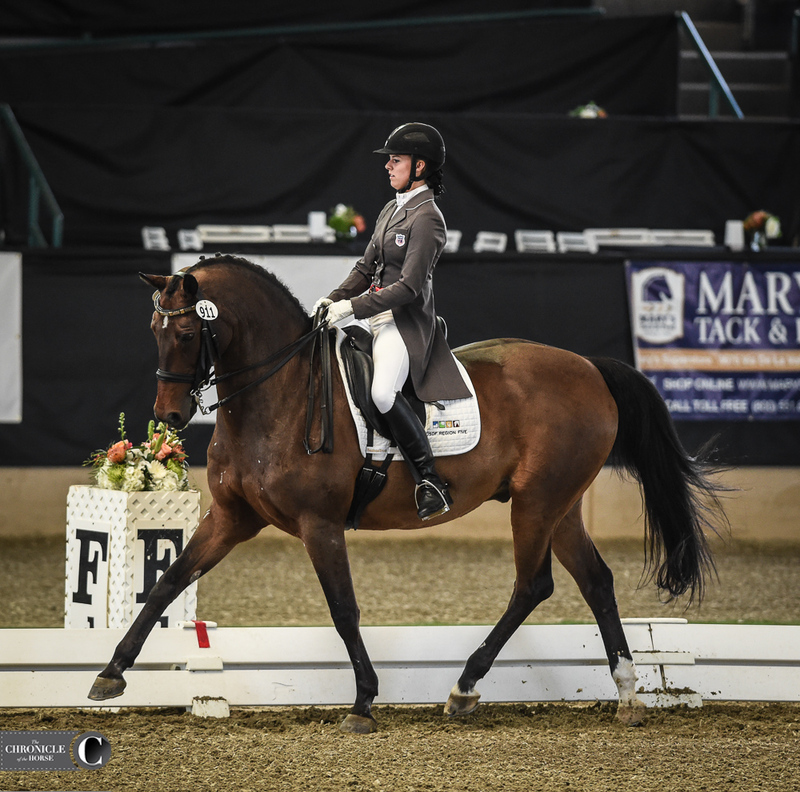 F is “super chill” in the barn and loves to cuddle, but he turns it on in the ring according to Wagman. 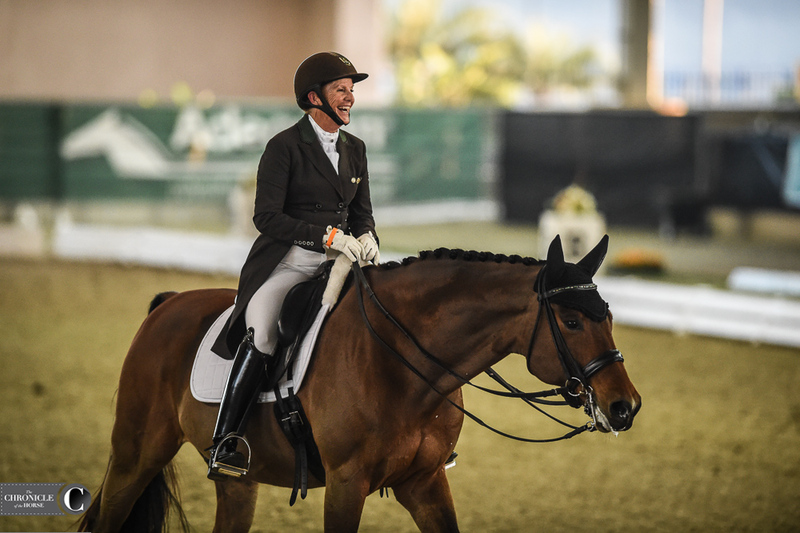 “He’s like this really gentle soul, and then you come to a horse show, and he livens up. 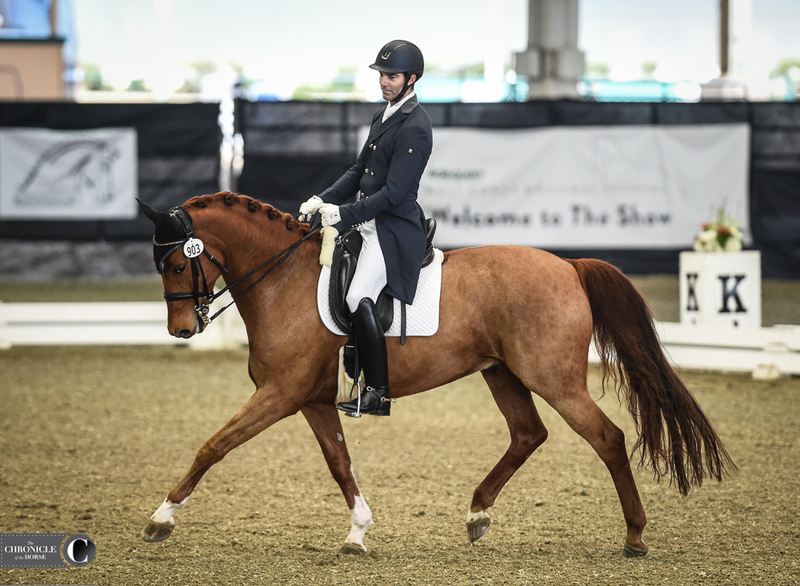 He’s a good combination of both, being really sensible and sensitive,” he said. 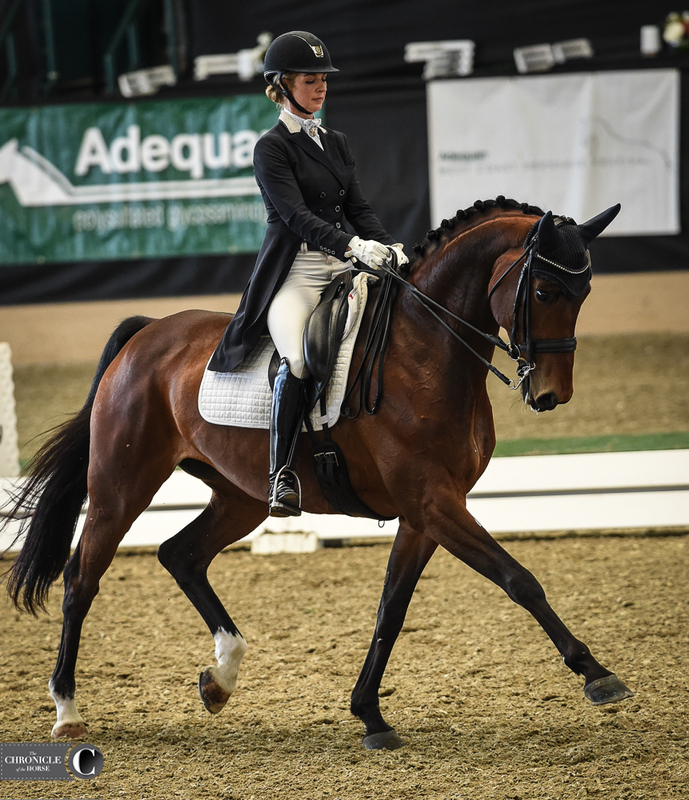 Wagman is thrilled to have the AWCDF to help get more CDI experience without having to travel to Florida. 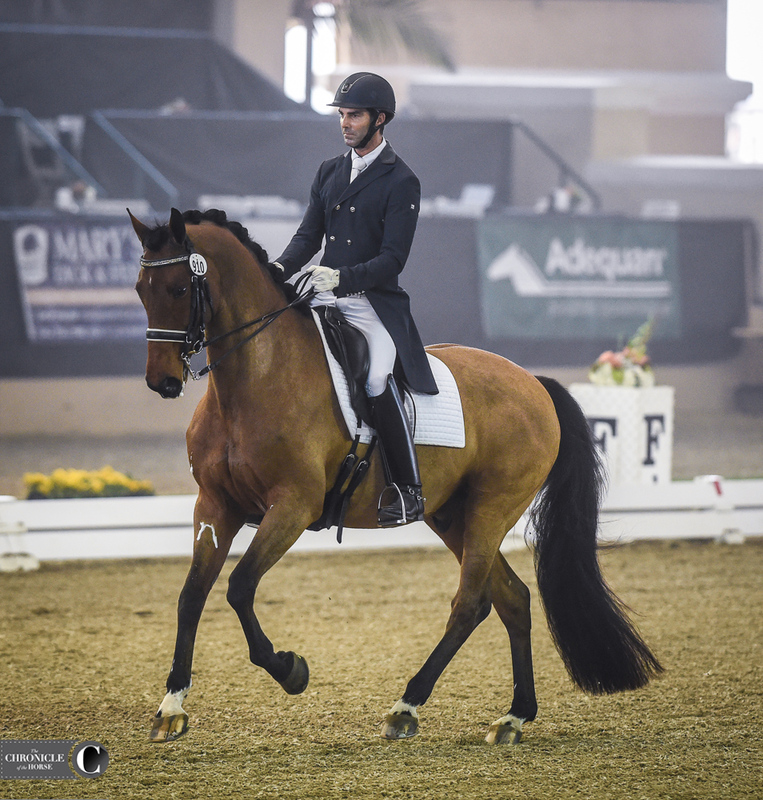 Wagman, 44, is looking ahead to the USEF Festival Of Champions (Illinois) for both horses, and he’d love to ride for the U.S. team someday. 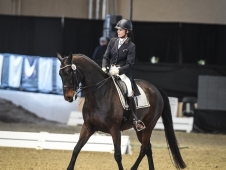 “This is my first real shot of having horses of this caliber at this level with such good owners that are giving me the opportunity to do this. 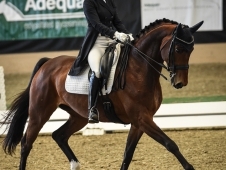 I’ve been doing this a long time, but everybody takes their own time getting there. 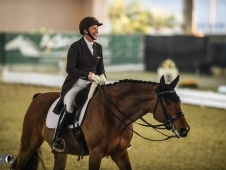 Maybe this is my time to have fun and try to make a team or something like that,” he said.